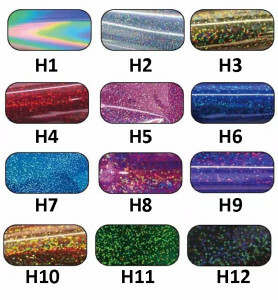 In the market of Heat Transfer Vinyl, if the material is TPU or PVC Films for lettering Alphabet Or Numbers is classical one, then these metallic and holographic lettering films are the fashion one! The Fashion embodies by the films charactor, and the colors its express. Today, let’s introducing the holographic lettering Films. 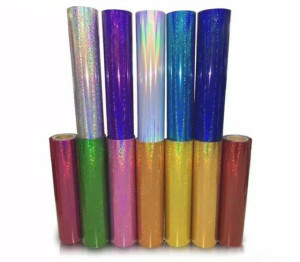 By using the high quality polyester film material, and with laser holographic processing for the colorful effect, 100um thick high temperature resistant polyester, and with a stick from the type of substrate, no deformation after high temperature heat stamping, no degumming, no fade, high cover, supporting a variety of colors, feel good. it’s good for a high value of deep processing, especially suitable for the pursuit of personality fashion industry decoration. 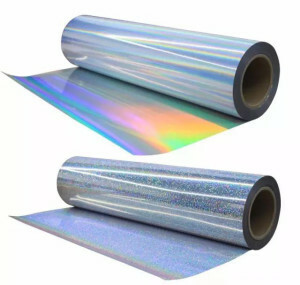 Metallic appearance, pure colors, bright and silk smooth surface, eye-catching, and color transformation is unpredictable, flashes, and have a strong stereoscopic feeling. Material: 100um thick high temperature resistant polyester. Function: Perfect for cotton fabric, Oxford Fabric, Non-woven Fabric, Leather etc. If you are in Fabric/Leather Processing, or want to order some ready to wear clothes, welcome to contact us at sales@hichinaprinting.com, or call +86 139 1020 6793.